Last month, André 3000 won with ease for his verse on “Solo (Reprise),” but September proved to be a lot more difficult to pick a winner. Now, the results are in — which, unlike last month, finds the fan vote and ours at the DopeHouse at complete opposite ends of the spectrum — with Dave East, ultimately, taking home the prize for the final verse on his Kairi Chanel closer. 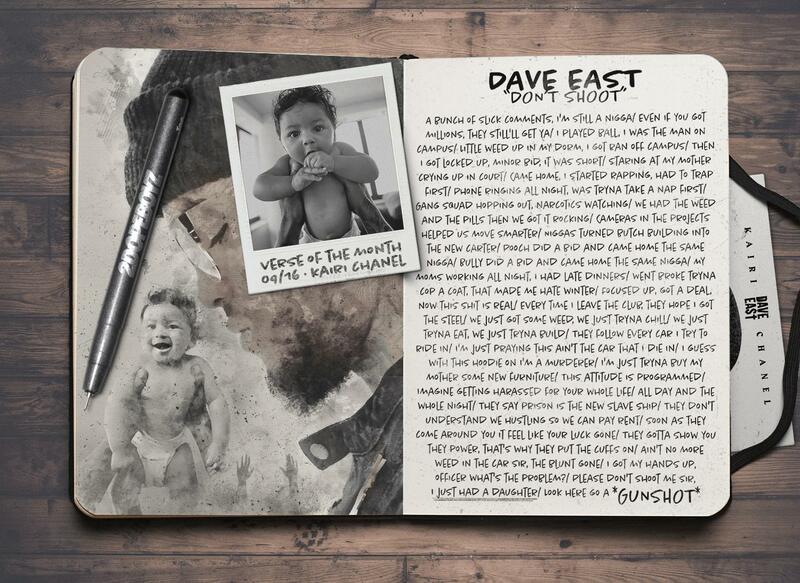 It wasn’t easy to pick a winner out of a crowded lot of dope rhymes, but when it’s all said and done, Dave East’s narrative on “Don’t Shoot” proved to be a cut above the rest. While the rest of the field definitely deserved recognition, the manner in which Harlem’s finest delivered on trying to understand police treatment from childhood to adulthood was stellar. Not to mention the clever use of autotune to symbolize his growth. From being a ten-year-old who once feigned naivety to being a hardened adult and confronting the police with an ominous ending, everything about Dave East’s tale is poignant and well told. It’s the final verse that rings true for many of us and captures the angst, paranoia and frustration African Americans deal with when it comes to police. Simply put, this is pure poetry from one of the hardest working emcees in the game.